Looking for the purr-fect action figure? 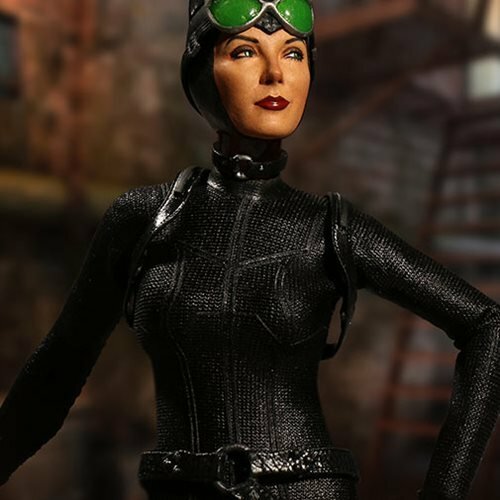 Mezco welcomes Gotham's most notorious cat burglar, Catwoman, into the One:12 collective. 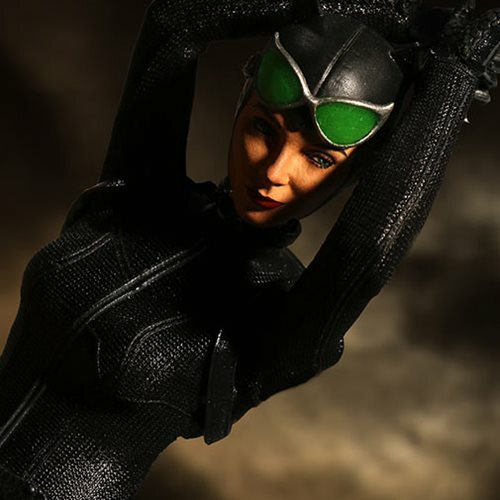 The Catwoman One:12 Collective Action Figure flaunts three exquisitely detailed head portraits: a flirty smile, a hissing snarl, and an unmasked Selina Kyle portrait. 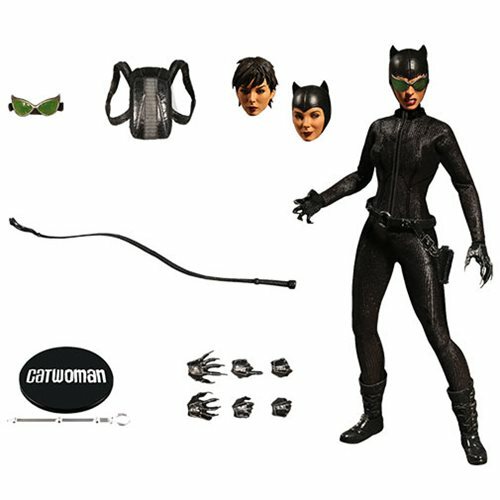 In addition to Catwoman's classic form-fitting suit, she comes complete with a whip, waist belt with an opening tool kit, removable backpack, and goggles that fit both masked heads. Morally ambiguous, stealthy, and agile, Selina Kyle AKA Catwoman, started out as a cat burglar to survive and protect those closest to her. Utilizing a cat mask, this furtive femme fatale is known to steal from Gotham City's rich and corrupt. Do not cross this cat or bad luck is sure to follow.